Let’s talk about food! Slovak cuisine is probably not so known in the world of refined dining but it is very tasty. 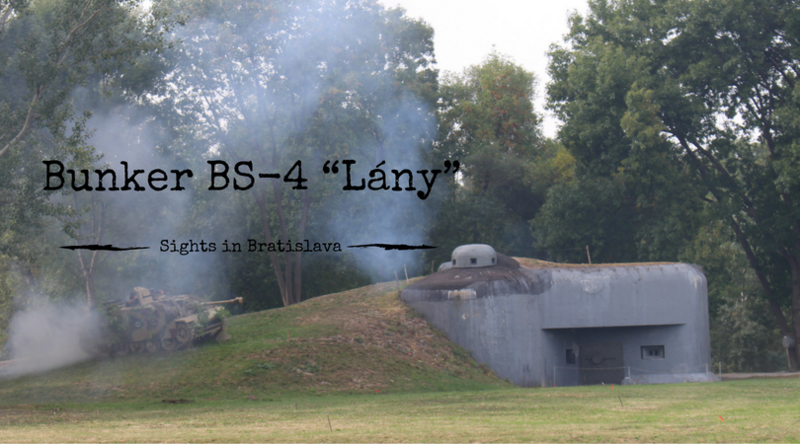 In this post we will tell you about four foods to try in Bratislava. Let’s be clear: good food is an essential part of a good trip. These are the dishes that we recommend people try – of course there are a lot of other tasty dishes, too! As we all know, the most optimal of all options is to find someone’s grandmother. Nothing ever beats the cooking of a grandmother. Unless it’s my grandmother, but that’s a totally different story, I’m quite convinced that all Slovak grandmothers are splendid cooks. As most foreigners do not get this opportunity, we decided to focus on restaurant food instead. 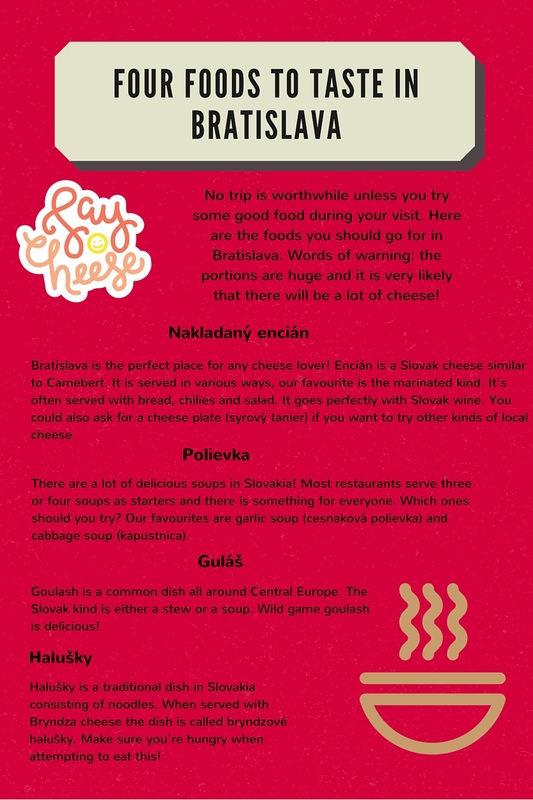 So what can you expect when trying Slovak cuisine at restaurants in Bratislava? Huge portions at a very good price. This is usually the case, although you might find exceptions to the rule. If you dare to leave the city center, the portions will be even bigger and the prices even more reasonable. Don’t order a main course if you’re not hungry – usually a starter (a soup, cheese etc.) will be quite filling on its own. A lot of cheese and garlic. 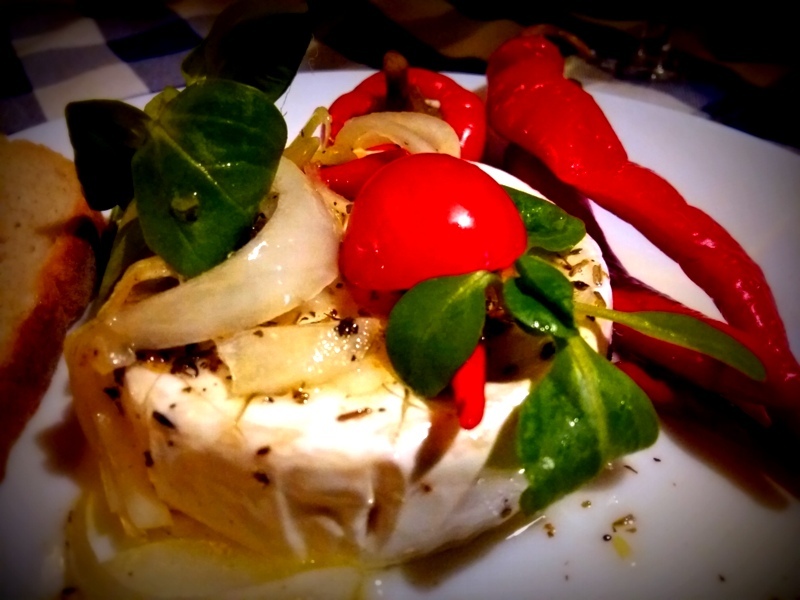 Many (often unlikely) dishes contain cheese and/or garlic. 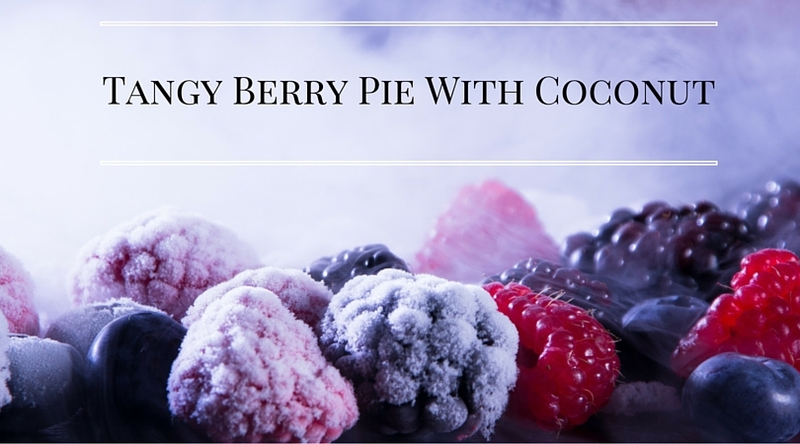 If you like these ingredients, there shouldn’t be a problem. Difficult for vegetarians and people on special diets. Again, there are exceptions to the rule, but you might want to be careful if you are a vegetarian. Many dishes that appear vegetarian might have some meat in them (for instance bacon). Compared to the Nordic countries, lactose and gluten do not receive as much attention as we are used to. Cream, bread, dairy, different sauces etc, are quite common, so watch what you eat! The level of service is not all that great. Really, it isn’t. Some people speak English, others don’t. A lot of people don’t want to speak it and it seems that many waiters are not all that passionate about their job. Our tip? Learn enough Slovak to be polite and to read the menu and don’t take it personally. Great tips! Your post makes Slovakia appear even more interesting! We’ll keep it in mind for when we actually make it there ? Gulas and Bryndzove halusky is traditional cuisine but I would add Zemiakova harula yet. It is a dish made from potatoes something like potatoes pancakes (potatoes, garlic, onion, salt, black pepper, flour, majrojam, egg – all mixed together and fried on oil or shortening) very delicious. Don’t think that I have heard about Zemiakova harula, is it somethink similar to lokše? Lokse are made only from flour and water and are similar to Arabic bread or tortilas. Zemiakova harula or baba is made from potatoes as mentioned and adding the other ingredients you will get thick pancakes. Try to Google it, it is very nice with milk or sauer milk, also beer. 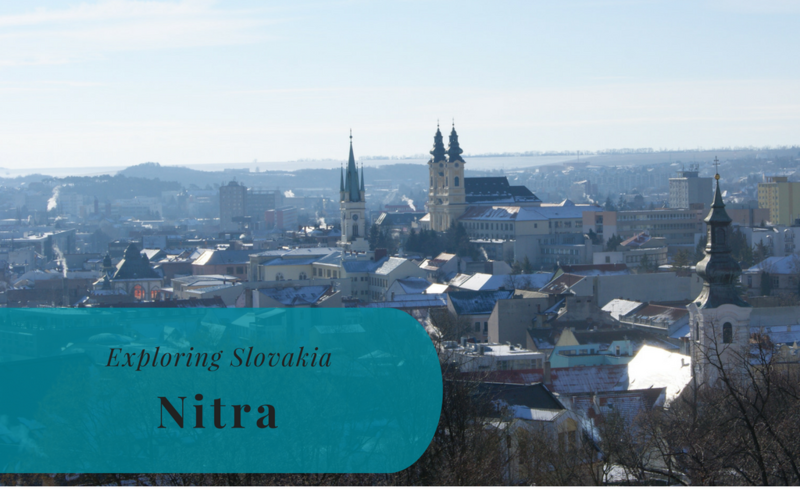 We still have a lot to tell about Slovakia and especially Bratislava, as it is a place where we lived for a year and a half before moving to Stockholm, Sweden.